FC dev jam community · Replied to Popolon in Tips on where to start. This isn't FC Jam. This is FC Dev Jam. This jam IS about making a fantasy console. Over a week in and I have all the basic player movement sorted out. Not animated yet. Starting to feel I might not finish in time, but hopefully I can get out a demo with at least one full level. Haven't had much to show lately. Mostly having a somewhat difficult time putting things together and figuring out how it should work. I have made progress though! 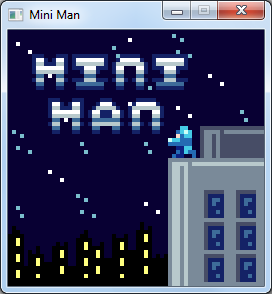 First I changed the title screen to make the menus more readable and added an intro animation. And the beginnings of a level and actual gameplay. Did a bunch of behind the scenes work today so I don't have much to show, but I did end up making the start of a title screen. It looks like the link got cut off at the end for some reason. Sending me to Page Not Found. Since other people have been sharing these I figured I'd throw mine in too. This is a 4x5 sprite font already arranged in ascii order starting at 0x00. It contains most characters from 0x20 to 0x5F. (Upper case letters, Number, Punctuation, and some symbols) There are also a couple special symbols that were originally intended for a JRPG project that wasn't finished. Feel free to use it as you wish. 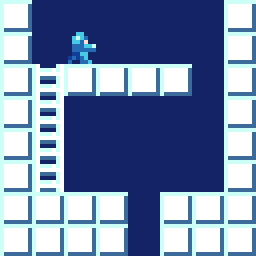 #LOWREZJAM 2016 community · Posted in Anyone coding in C++ and sdl2? Cool to see other people are programming their games from (almost) scratch. I'm also planning to use SDL2 and C for my project. 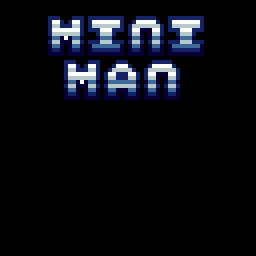 Well having recently enjoyed a month worth of streams from the series, and not being very creative at the moment, I've opted to make a sorta Mega Man demake for my entry. 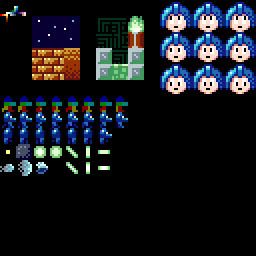 May switch to something else if I get a better idea, but for now have some disorganized and maybe not very good sprites and mockup work from today.